Transform your life through Soulscape Journaling. This Annual Transformational Healing Retreat, facilitated by Peggy Fuhs and Damini Celebre, is a vital part of the journey toward healing ourselves and others. Our personal healing is a journey inward. It is a deep multidimensional and energetic journey overtime that allows us to touch within in a gentle, loving way and transform our limiting patterns/beliefs wherever they may be living – in our bodies, our thoughts, our emotions, our spirits. One of many things the intuitive creative process can show you is: what is keeping you from being fully present with yourself and in the world. It is essential to look at the bumps, blocks, and stories that hold you back from growing, changing, and shining your light. You have worked with the book now join the community. When You live from your heart and are in ALIGNMENT with your soul’s essence — You thrive. Can't do an in-person workshop? You can start the discovery at home! Damini's book, Painting the Landscape of Your Soul takes you on a healing journey using the creative process as the foundation for self discovery, igniting your creative spark and guiding you to heal your Soul. This book is available in soft-bound and digital format. Personalized assistance in building a deeper relationship with your soul. Are you in a transitional time in your life? Confused about direction? Seeking your deeper purpose? Damini offers one-on-one Soulscape Coaching sessions (long-distance and in-person) to clear blockages, enliven your energy and awaken your soul's purpose. 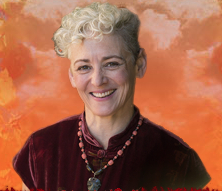 Using spiritual and creative tools that speak the sacred language of your Soul – guided visualization, Shamanic journeying, and Intuitive painting – Damini helps you deepen your relationship with your Soul, bringing healing, abundance and love into your life. Get Energy First Aid ...for life! Energizing You! This powerful and innovative program blends the best of ancient and modern paradigms, art and science, and Eastern and Western cultures. In a multi-tiered series of workshops, each class builds on the next. Energizing You! is a profound, transformative healing journey, offered online. Longing to know your truth? For a way to connect deeper to all aspects of yourself? 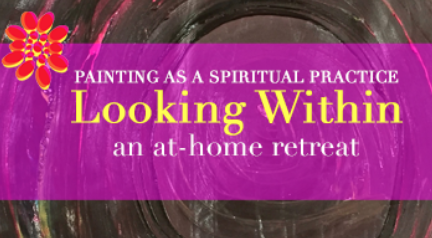 Painting as a Spiritual Practice uses the intuitive, creative process to connect you back to your heart and your soul. Intuitive creation uses the wisdom of your body to connect with your feelings and emotions. Many of us are looking around and thinking How did so many places in the world seem to be going to hell in a hand-basket? In your heart, you know that the world can be so different. Your vision is hopeful — you want peace and harmony, right? Yet, you find that the level of fear and freakout is mounting around you…and perhaps inside you, too. Vision It! teaches you the four steps to manifest the life you want to live. Learn to apply these four steps to anything you want to manifest: a new job, a sweetie, good health, world peace. A while back, I was walking in the woods with a friend of mine. We started lamenting about how so few of our clients experience nature. Being in nature feeds our spirits! Sure, we all go outside as we go to-and-fro to run errands, or to exercise. But do we get out just to BE WITH NATURE? Well, in this day and age, people don’t recognize how much that going out in nature supports us. So here’s how to go outside, look at the sky, listen to bird songs and feel the wind on our face — which fills you up! Photo Journeys :: WINTER allows you to connect deeply with Nature. Be free. Be creative. Have fun! Get inspired to open your heart and experience your creative self! In blogs, videos and visual art, Damini shares her learnings and adventures, as well as advice on healing and creativity. Join in the conversation by adding your comments and experiences.